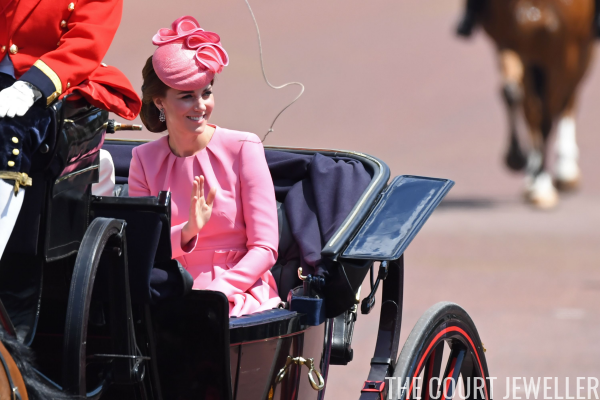 At Royal Ascot, Kate made another appearance in the Queen's Bahrain Pearl Earrings. 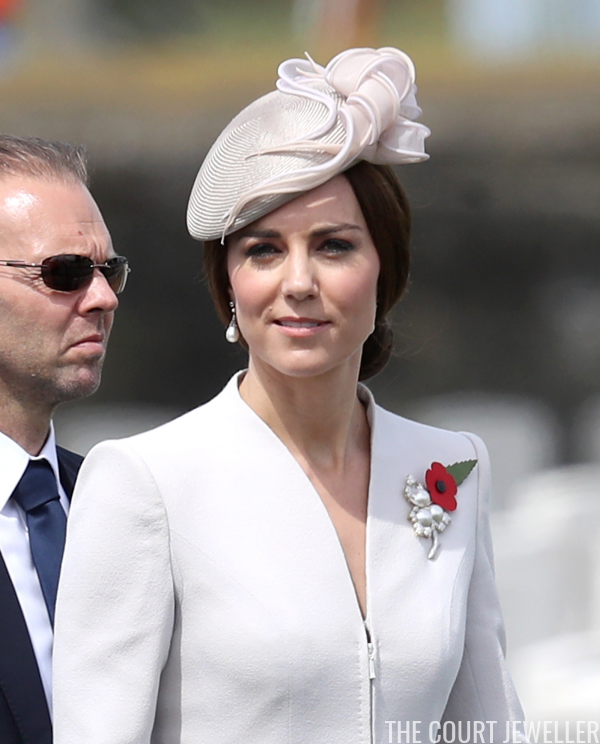 The Queen's diamond and pearl earrings continued to be one of Kate's jewelry wardrobe staples in 2017, including an appearance at a Service of Hope at Westminster Abbey. Kate wore the Queen's Wedding Bracelet again this year, including an outing at the BAFTAs in February in London. 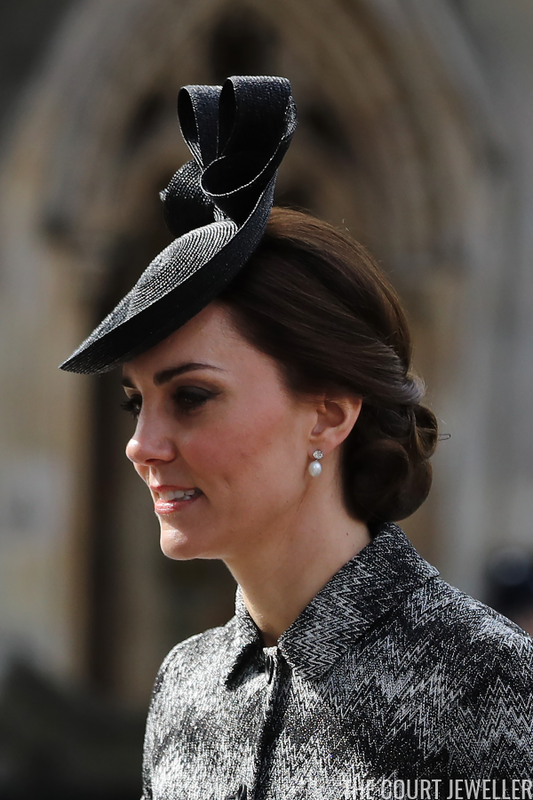 For an event at Kensington Palace dedicated to the Anna Freud Centre, Kate wore the Queen's diamond frame earrings with a diamond bracelet also borrowed from HM. 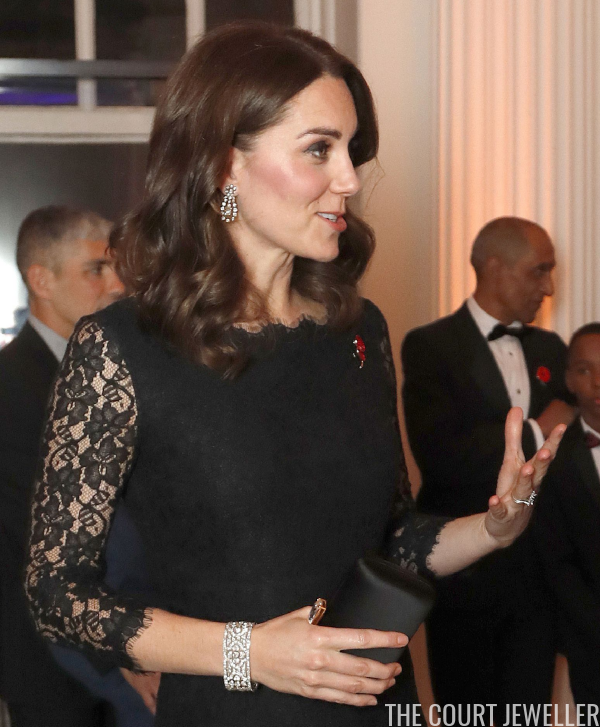 The diamond bracelet made from one of Queen Mary's choker necklaces and the Queen's diamond chandelier earrings adorned Kate during a dinner in Paris hosted by the British ambassador. Kate wore the Queen's Japanese Pearl Choker Necklace for the first time at the big royal 70th wedding anniversary party in November. And she borrowed one of the family's many diamond rivieres for the annual diplomatic reception in December. 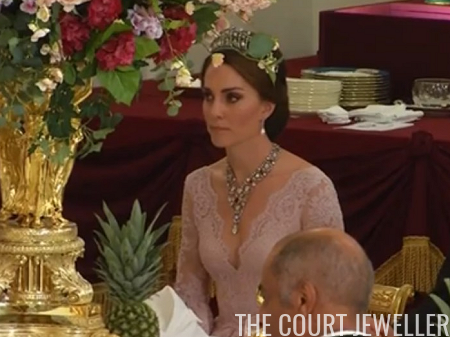 But the highlight of the year was undoubtedly her appearance in the Greville Ruby Necklace at the Spanish state banquet in July!